This month is an inspiration challenge, below is the image that you need to take your inspiration from and create a layout using Kraft or Kraft Patterned Paper as your base. This looks great Raquel. Love the photo, perfect for this challenge. 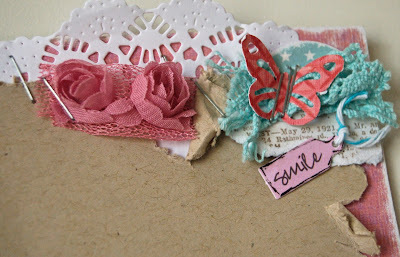 The papers look great together and love the use of your circles. Congrats on your Win for Last months KIU!! Thanks for joining in @ KIU!! 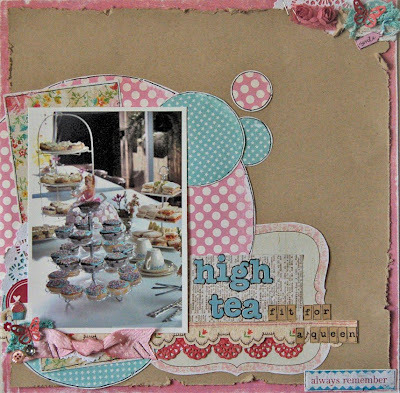 Oh what a pretty page Raquel, I adore the polka dot papers and little flowers on your page, the distressed edges.. and totally fab photo for this challenge!